From late summer to late spring, we offer two Sunday morning worship opportunities. Both styles of worship include a scripture-based sermon and musical offerings. 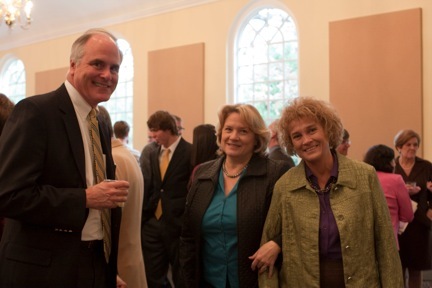 An Informal Worship service is held at 9:00 a.m. in Saunders Hall (our large fellowship hall). 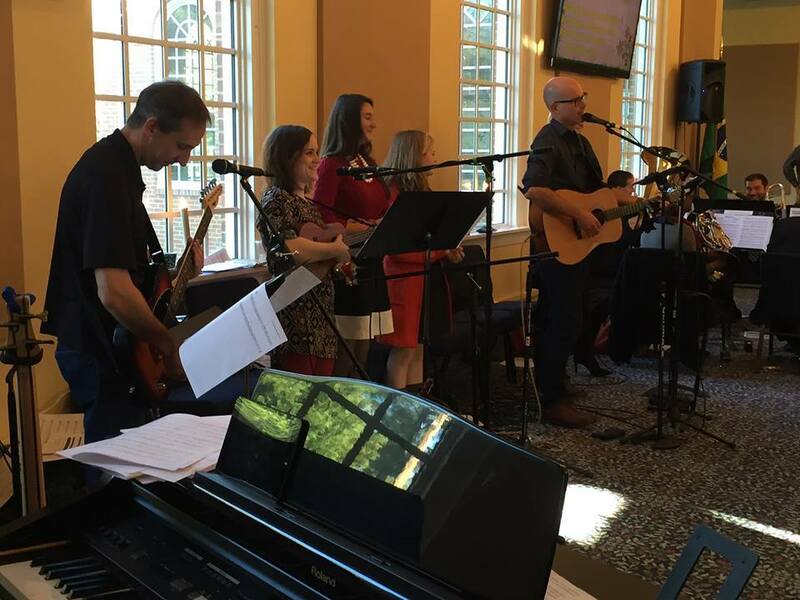 The Sacrifice of Praise Band leads the congregation in music at this service. Song lyrics and scripture readings are displayed on video screens, and other forms of media messages are used to enhance the worship experience, illustrate the sermon, and provide announcements. Our Traditional Worship service at 11:00 a.m. is held in the Sanctuary. Music includes the Chancel Choir and organ as well as additional offerings of piano, handbells, and various guest musicians. A message for children is provided at this service, after which children in kindergarten through second grade are welcome to either go to Extended Session to participate in activities related to a Bible story or remain in the worship service. For a few weeks during the summer, we have a combined worship service. 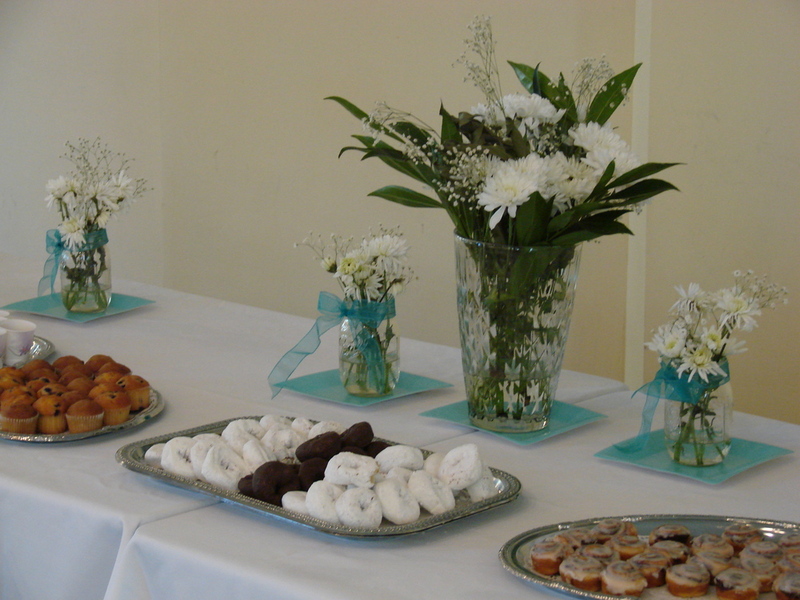 Around 3-4 times a year, we hold Celebration Worship followed by a meal that brings the entire congregation together. 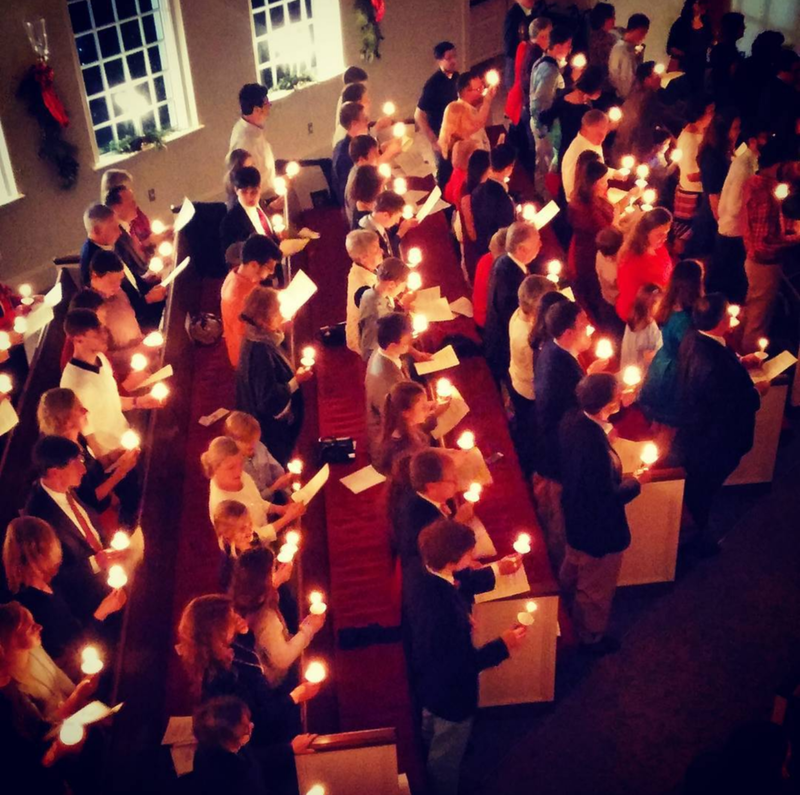 Christmas Eve services are held at 4:30 p.m. and 10:45 p.m. Both services include scripture, candlelight, and carols. The earlier service is especially designed for families with young children, and the later service has special music is appealing for those who can stay up later. Palm Sunday service features the waving of palms as we begin Holy Week. A Maundy Thursday Tenebrae service is held at 7:30 p.m. This is a solemn service with Communion. We celebrate the resurrection on Easter Sunday with both worship services being held, Informal Worship at 9:00 a.m. and Traditional Worship at 11:00 a.m. If you would like to have your wedding performed at River Road Presbyterian Church, please contact the church office at 804-740-7083 as soon as possible and speak with our Director of Operations. All ceremony requests are contingent on the church and pastor being available and must be approved by our Worship and Music Ministry and the Session. Below you will find links to additional resources.